Online casinos have been a rage ever since they came into existence. With so many operators around, it is only natural for innovation to be the name of the game. And that is how after the download casinos, the instant play version came into being. Another great innovation, in that context, is the live casino. This is a fantastic offering that combines the comfort of online casino gambling with the authenticity of gambling at a land-based casino. It the actual feel of playing at a real land-based casino right at home, through live dealers, live games, and more. The first live casino games came from the Playtech stable in 2003. This was the first software provider to put out live casino games for its players. However, the other software providers did not latch on to this trend immediately; there was a gap of a few years before others followed suit. The popularity of live casino games began to swell only from around 2006. By 2012, things were in cruise control mode, with a 1000% growth in live casinos since 2008. There were over 140 of them by 2012. Initially there were just a few live casinos available. Today advancements in technology and increased bandwidth have made these casinos very popular, with more and more online casinos offering them to their players. Live casinos are popular all over the world today, and this is true of South Africa as well. In South Africa, there are quite a few live casinos for players to play at. The following are our picks for the top three South African live casinos. 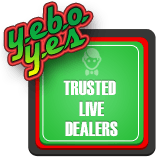 A live casino is an online casino that has a human dealer running the games on offer in real time from an actual gaming table at a casino. The images are uploaded for viewing by online casino players through live streaming videos. The players can then place bets on their computers and participate in the game. There is also a chat function available that allows them to communicate with the dealer directly. Play live blackjack, roulette baccarat and casino hold'em at Casino.com. Quick to load and smooth game play on even a slow connection. So how do live casinos work? Usually, the online casino partners with a casino that has a set-up for live gaming action. At a live casino, you circumvent the rush and noise of live games at a traditional land-based casino because all players are playing from their respective locations, but you get the feel of live action because the dealers are real people with whom you can interact. You need to have a webcam at your location, on your laptop or computer you are playing from. Live casino games are considered a few notches above online casino games simply because the dealer is live and your interaction is with a person; there are no random number generators dictating the outcome of a game. Besides, you can chat with other players on the game as well, making this a technology driven social gaming event that you can enjoy thoroughly. One drawback at live casinos is the number of games offered. Usually, you find just a few games at live casinos, as against the hundreds you can access at the online casino. The reason is simple: live casino games come at a cost. There is cost involved in the equipment as well as the human element: the dealers have to be paid. The usual requirement is a live studio, a room for the software, and also an analyst room. The people needed are not just the croupiers, a casino may also want a pit boss and another person to take care of the software and ensure things progress without any hassles. The most common games available are blackjack, roulette, baccarat, and Casino Hold'em, though some casinos do offer bingo, craps, slots, and poker as well. You may find different variations or versions of the same game. For instance, a live casino could offer two versions of blackjack, one with a Euro dealer and another with an Asian dealer. Playing at a live casino is simple. You need to play for real money at a live casino as it involves people being around to take your bets and conduct the game. So live casinos usually do not offer practice games. There is not much cause for worry, though; live casino games are more or less the same as the ones you find at online casinos. So you also have the option of sharpening your game skills by playing in the practice mode online and then coming to the live casino for real money play. This means the live casino option is not a good bet if you are new to the whole online gambling thing or not very confident about your game. However, you are not all alone when you play; there is the live dealer and the other players around, and you can chat with them using the chat function available to clear any doubts about the game or its rules. To play at a live casino, click the Live Casino link on the online casino's website. This link could either exist as a separate tab on the casino's home page or be part of the game list on the Games section of the casino. Clicking this link opens up the Live Casino page with a list of games available and other relevant details. On this page, you choose the game you want to play. Ideally, you should select a game that you are comfortable with and that fits your bankroll. Once you click the game, you get a page asking you to log in or register yourself if you do not have an account. You must have an account with the casino to play live casino games for real money. You can create this at the online casino itself, or if you don't have one yet, you can create one at the live casino too. Once you have the account, you fill in the required details on the log in page and are then taken into the game and prompted to make a deposit. On the opening page, you can see the live dealer and interact with her and place your bets. You are now ready to play at the live casino. Of course, you can chat with the dealer through the chat function whenever you need any help from her. There are quite a few South African online casinos offering live casino action to their players. Our selection of the top five South African live casinos is already listed above. These are the best places for live casino action in South Africa, and this is what you get when you play there. Like in the games you play at online casinos, live casino games allow players to place wagers for the different games. However, there are certain requirements to be met when placing wagers. One critical requirement is the betting limit: any wager must be within the minimum and maximum wager limit that the casino has created. For roulette, the wager limits are usually for the table, not for the bet position, though in some casinos you will find that kind of bet as well. Blackjack bets are for tie and side bets and also banker and player bets. Live dealer games have taken the world by storm over the past few years. And therefore, it is inevitable to make comparisons between this new form of online casino gaming and the standard random number generator (RNG) powered games that you see at online casinos. Playing live dealer games has its own advantages compared to playing RNG games. For starters, there is the reality aspect to the whole concept of live casino gaming. You are playing at an online casino, yet you have a completely real experience when it comes to live dealer games. There is a flesh-and-blood dealer who interacts with you, takes your bets, and conducts the game. This is not the case in RNG games, where the fate of the game is decided by a random number generator that has obviously been audited for fairness and randomness. The second thing is the thrill factor. The degree of thrill is higher when you play with human beings around and before you, as against a software program. The way we interact with and react to human beings is very different to the way we react to a computer program or a machine. The human element makes the entire experience all the more believable. Thirdly, there is always a degree of scepticism when it comes to believing in the absolute randomness of the RNG. Certified or not, we always tend to believe human beings more than machines. And this is the case with live dealer games as well.